How do you pre-visualize a photograph when it's too far away to see? 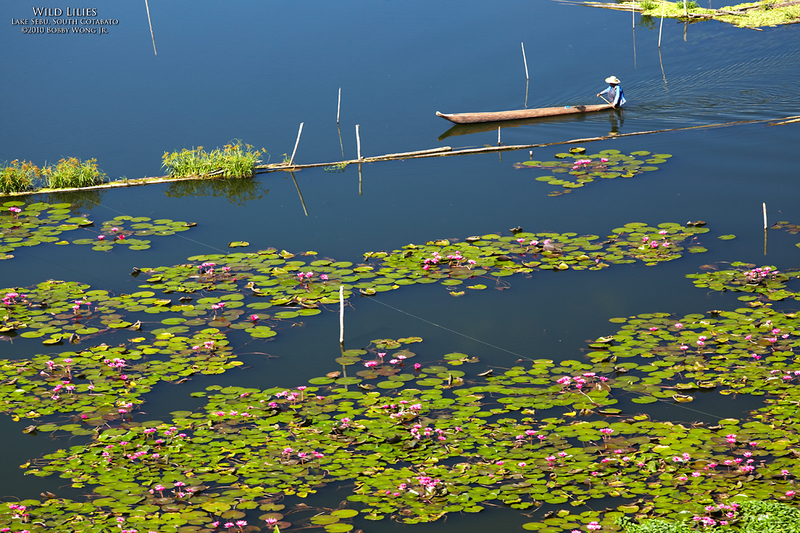 We were on a ridge overlooking Lake Sebu in South Cotabato, admiring a distant field of water lilies along its banks. The fishermen and their boats looked like the size of ants from our vantage point, too far away to find any composition of note. But wait, didn't you say you have to first see a composition in your mind's eye before taking a photograph? That's correct. But what if you don't own a monster telephoto lens? Not a problem. Just find a friend who does! Enjoy. The T'Bolis are one of many indigenous peoples in Southern Mindanao, and today we are in their home, on the fringes of Lake Sebu, in the province of South Cotabato. Who are they? Along a series of mountain lakes over 700 meters above sea level, they live off the lakes and the surrounding land, raising fish and planting rice. They weave their T'nalak (native fabric) to clothe themselves, preserving their rich culture. Surprisingly, they still live in bamboo-walled huts even to this day, are conversant in English, and are 90% Catholic. 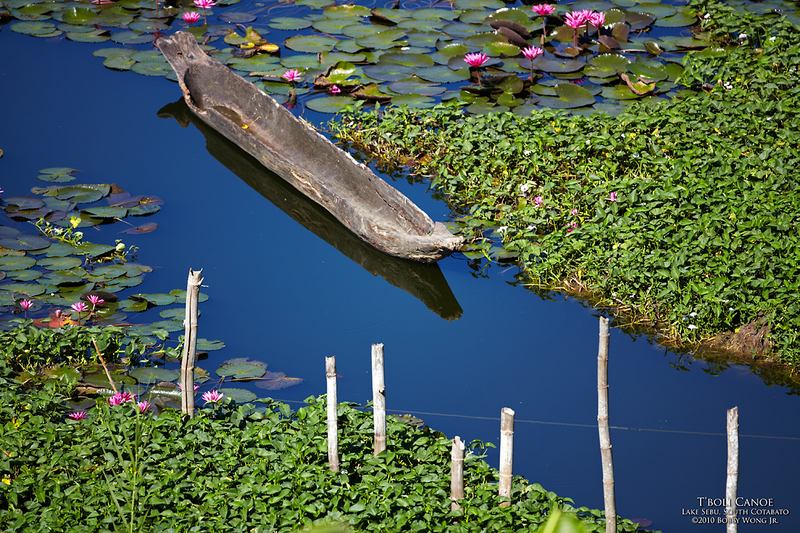 But don't take our word for it, Lake Sebu is just a four hour trip south of Manila. Enjoy. It's a scene you don't see everyday. 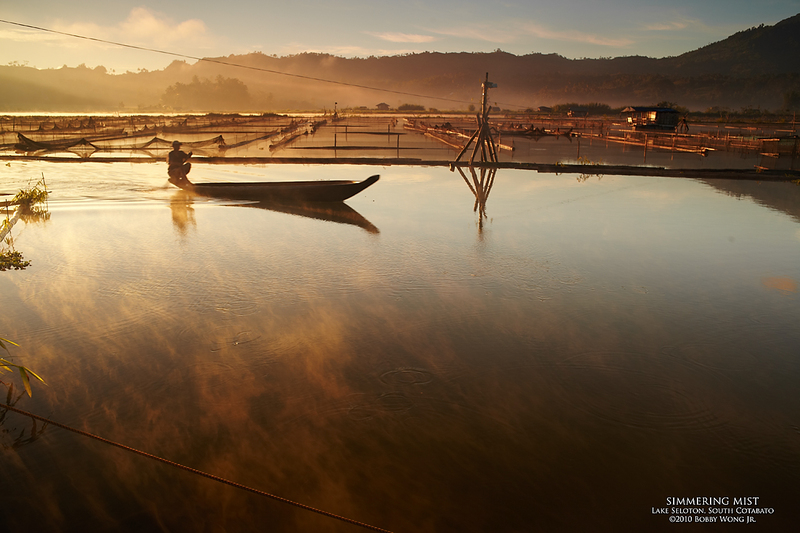 Just before the sun made its dramatic entrance, we positioned our cameras on the banks of the placid Lake Seloton, a small freshwater lake downstream from the larger Lake Sebu after which the town is also named. It must have been due to the cold damp night. Just as the first rays of sunlight touched the water's surface, a gentle mist started to simmer. Soon a veiled fog completely enveloped the valley lake formed by the surrounding mountains. 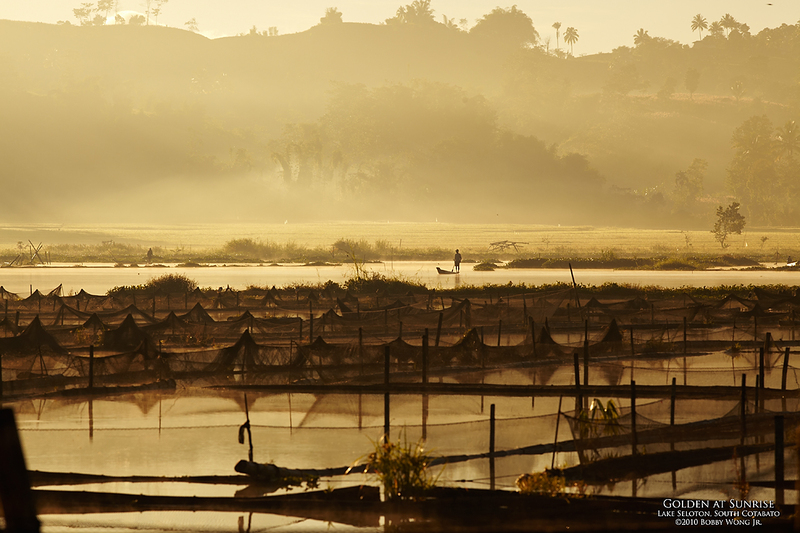 Every now and then, a T'boli fisherman would zip past us, busily tending nets and/or collecting his breakfast. It was a dreamy scene so brief that it ended before we knew what happened. Being up-and-about... and in the vicinity of our country's wilderness at this hour of the day... is a gift few accept. Someone had to do it. Enjoy. If I said you could be surrounded by flowers in Lake Sebu, you probably wouldn't expect something quite like this. On the way to see the renowned waterfalls of Lake Sebu in South Cotabato, we pulled-over to admire a large patch of water lilies growing in the wild. 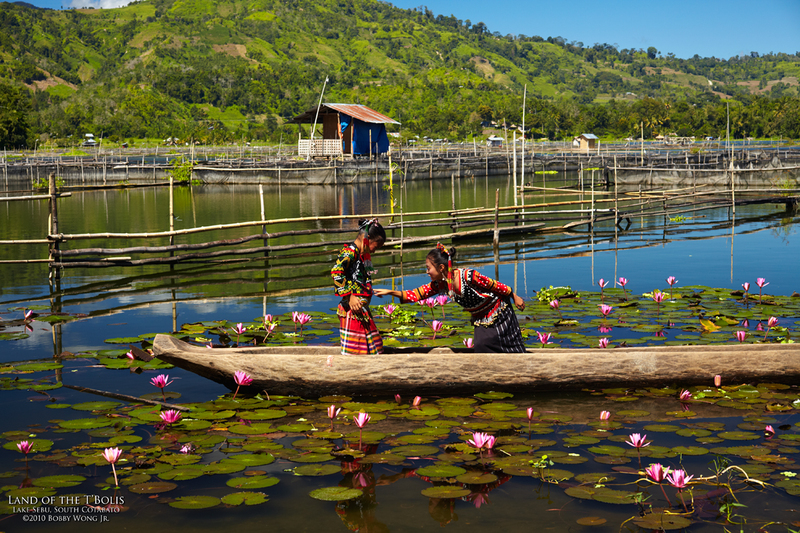 These lilies are a signature of this mountain-top lake town and had been here as far as the locals can remember. While planning this trip, we had to contend with the generally negative reputation South Cotabato had among those we consulted. It didn't help that several countries had raised "do-not-travel-to alerts" singling out this province. But nothing could be further from the truth. While it's true you still have to be prudent when traveling some place new, South Cotabato had been unfairly maligned. The people are gentle and respectful, and we've never felt uncomfortable anywhere we went, day or night. We're glad we made the trip and two thumbs up to those planning one. Enjoy.